غلامی, مرتضی, دیواندری, مهدی, صالحی, محمد تقی. (1395). بررسی فصل مشترک کامپوزیت آلومینیم-برنج تولید شده به روش گریز از مرکز. علوم و فناوری کامپوزیت, 3(4), 369-376. مرتضی غلامی; مهدی دیواندری; محمد تقی صالحی. "بررسی فصل مشترک کامپوزیت آلومینیم-برنج تولید شده به روش گریز از مرکز". علوم و فناوری کامپوزیت, 3, 4, 1395, 369-376. غلامی, مرتضی, دیواندری, مهدی, صالحی, محمد تقی. (1395). 'بررسی فصل مشترک کامپوزیت آلومینیم-برنج تولید شده به روش گریز از مرکز', علوم و فناوری کامپوزیت, 3(4), pp. 369-376. غلامی, مرتضی, دیواندری, مهدی, صالحی, محمد تقی. بررسی فصل مشترک کامپوزیت آلومینیم-برنج تولید شده به روش گریز از مرکز. علوم و فناوری کامپوزیت, 1395; 3(4): 369-376. در این تحقیق فصل مشترک دو فلزی آلومینیم- برنج، تولید شده با دستگاه ریخته‌گری گریز از مرکز عمودی، مورد بررسی متالورژیکی قرار گرفت. ابتدا بوش‌های برنجی در محدوده دمایی 100-300 درجه‌ی سلسیوس پیش‌گرم شده و سپس مذاب آلومینیم با نسبت حجمی 5/1 برابر جامد برنجی درون بوش‌های درحال دوران با سرعت 800، 1600 و 2000 دور بر دقیقه ریخته‌گری شد. نمونه‌های حاصله به ازای متغیرهای مختلف، با استفاده از میکروسکوپ نوری (OM)، میکروسکوپ الکتررونی (SEM) مجهز به حسگر طیف‌سنجی پراش انرژی پرتو ایکس (EDS) و نرم افزار Image J بررسی شد. تشکیل اتصال متالورژیکی در این تحقیق، می‌تواند ناشی از شرایط انحلالی ویژه‌ای باشد که توسط نیروهای چندگانه مکانیکی دخیل و همچنین نفوذ در انتهای فرآیند انجماد تامین می‌شود. مطالعه طیف‌سنجی نشان می دهد که لایه‌های تشکیل شده در این دوفلزی، به ترتیب از سمت برنج شامل Al3Cu5Zn4، Al3Cu3Zn، رسوبات Al3Cu توزیع شده در زمینه‌ی محلول جامد آلومینیم و نهایتا ساختار یوتکتیک غیرعادی α-Al/Al3Cu در مجاورت آلومینیم است. In this research interface of aluminum-brass bimetal composite, fabricated by a vertical centrifugal casting machine, were investigated. At first, brass bushes were preheated at 100-300 °C temperature range and then aluminum melt with 1.5 melt-to-solid volume ratio was cast into cylindrical bush rotating at 800, 1600, and 2000 (rpm), respectively. Obtained samples were studied using optical microscope (OM), scanning electron microscopy (SEM), energy dispersive X-ray spectroscopy (EDS) and Image J software. Results show that metallurgical joint in this work is probably due to particular dissolving condition, provided by multiple mechanical forces involved and also possible solid diffusion at the end of solidification process. Study of the EDS results show that layers formed at the achieved interface consisted of four discrete layers from the brass side, including Al3Cu5Zn4, Al3Cu3Zn, Al3Cu precipitates scattering in aluminum matrix and finally α-Al/Al3Cu anomalous eutectic structure near the aluminum side. Esmaeili, A. Besharati Givi, M. K. and Zareie Rajani, H. R., "A metallurgical and mechanical study on dissimilar Friction Stir Welding of aluminum 1050 to brass (CuZn30)" Materials Science and Engineering A, Vol. 528, pp. 7093-7102, 2011. Tayal, R. K. Singh, V. Kumar, S. and Garg, R., "Compound casting - A literature review" Proceedings of the National Conference on Trends and Advances in Mechanical Engineering, YMCA University of Science & Technology, Faridabad, Haryana, pp. 501-510, 2012. Akbari, M. and Behnagh, R.A., "Dissimilar Friction-Stir Lap Joining of 5083 Aluminum Alloy to CuZn34 Brass" Metallurgical and Materials Transactions B, Vol. 43, 2012. Esmaeili, A. Zareie Rajani, H. R. Sharbati, M. Besharati Givi, M. K. and Shamanian, M., "The role of rotation speed on intermetallic compounds formation and mechanical behavior of friction stir welded brass/aluminum 1050 couple" Intermetallics, Vol. 19, pp. 1711-1719, 2011. Akbarifar, M. and Divandari, M., "Interface characterization of Aluminum/Brass bimetal produced by compound casting" In Persian, The second International and The seventh Joint Conference of iranian Metallurgical engineering and Iranian Foundrymen Scientific Societies, 2013. 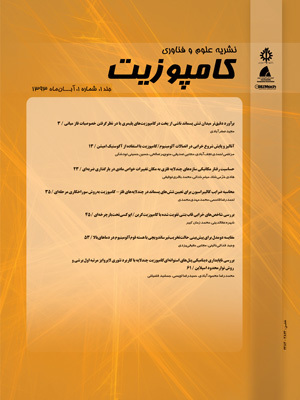 Akbarifar, M. and Divandari, M., "Effect of Melt/Insert volume ratio and pouring temperature on Al/Al alloy interface in compound casting process" Proceedings of Iran International Aluminum Conference, 2014. Zare, G. R. Divandari, M. and Arabi, H., "Investigation on interface of Al/Cu couples in compound casting" Materials Science and Technology, Vol. 29, No. 2, pp. 190-196, 2013. ASM Metals Handbook, Volume 15 "Casting" ASM Handbook Committee, 1992. Trejo, E., "Centrifugal Casting of an Aluminium Alloy" Doctor of Philosophy Thesis, University of Birmingham, 2011. Diouf, P. and Jones, A., "Investigation of Bond Strength in Centrifugal Lining of Babbitt on Cast Iron" Metallurgical and Materials Transactions A, Vol. 41, 2010. Campbell, J. "Complete Casting Handbook" pp. 979-985, University of Birmingham, UK, 2011. Chang, S. R. Kim, J. M. and Hong, C. P., "Numerical Simulation of Microstructure Evolution of Al Alloys in Centrifugal Casting" ISIJ International, Vol. 41, pp. 738-747, 2001. Chirita, G. Soares, D. and Silva, F. S., "Advantages of the centrifugal casting technique for the production of structural components with Al–Si alloys" Materials and Design, Vol. 29, pp. 20-27, 2008. Regel, L. L. and Wilcox, W. R., "Centrifugal materials processing" International Center for Gravity Materials Science and Applications, 1997. Daming, X. Limin, J. and Hengzhi, F., " Effects of centrifugal and coriolis forces on the mold-filling behavior of titanium melts in vertically rotating molds" Research & Development, 2008. Campbell, J. "Entrainment defects" Materials Science and Technology, Vol. 22, No. 2, pp. 127-145, 2006. Hajjari, E. Divandari, M. Razavi, S. H. Homma, T. and Kamado, S., "Microstructure Characteristics and Mechanical Properties of Al 413/Mg Joint in Compound Casting Process" Metallurgical and Materials Transactions A, 2012. Liu, W. Wang, G. X. and Matthys, E. F., "Thermal analysis and measurements for a molten metal drop impacting on a substrate : cooling, solidification and heat transfer coefficient" International Journal of Heat and Mass Transfer, Vol. 38, pp. 1387-1395, 1995. Coates, B. and Argyropoulos, S. A., "The Effects of Surface Roughness and Metal Temperature on the Heat-Transfer Coefficient at the Metal Mold Interface" Metallurgical and Materials Transactions B, Vol. 38, No. 2, pp. 243-255, 2007. Kim, S. J. Umeda, T. Murata, K. Sakurai, D. and Minami, M., "Development of New Container Manufacturing Process by Vertical Type Centrifugal Casting Method and its Solidification Analysis" Advanced Materials Research, Vol. 4-5, pp. 307-312, 1997. Fujikawa, S. I., "Interdiffusion between Aluminium and α-Brass" Diffusion in Materials, Vol. 95-98, pp. 611-616, 1993. Biswas, A. Siegel, D. J. Wolverton, C. and Seidman, D. N., "Precipitates in Al–Cu alloys revisited: Atom-probe tomographic experiments and first-principles calculations of compositional evolution and interfacial segregation" Acta Materialia, Vol. 59, pp. 6187–6204, 2011. Shoilock, B. A. M. Grovenor, C. R. and Knowlcs, K. M., "Compositional studies of Ω and Ө’ precipitates in an Al-Cu-Mg-Ag alloy" Scripta Metallurgica, Vol. 24, pp. 1239-1244, 1990. Liu, X. R. Cao, C. D. and Weisheng, B., "Microstructure evolution and solidification kinetics of undercooled Co–Ge eutectic alloys" Scripta Materialia, Vol. 46, pp. 13–18, 2002. Wei, B. and Herlach, D. M., "Rapid solidification of undercooled eutectic and monotectic alloys" Materials Science and Engineering A, Vol. 173, pp. 357 -361, 1993. Fardi Ilkhchy, M. J. A. and Davami, P., "Effect of pressure on heat transfer coefficient at the metal/mold interface of A356 aluminum alloy" International Communications in Heat and Mass Transfer, Vol. 39.5, pp. 705-712, 2012. Marukovich, E. I. Branovitsky, A. M. Na, Y. S. Lee, J. and Choi, K. Y., "Study on the possibility of continuous-casting of bimetallic components in condition of direct connection of metals in a liquid state" Materials and Design, Vol. 27, pp. 1016–1026, 2006. Ghoncheh, M. H. Shabestari, S. G. and Abbasi, M. H., "Effect of cooling rate on the microstructure and solidification characteristics of Al2024 alloy using computer-aided thermal analysis technique" Journal of Therm Analysis and Calorimetry, Vol. 117.3, pp. 1253-1261, 2014. Ghoncheh, M. H. and Shabestari, S. G., "Effect of Cooling Rate on the Dendrite Coherency Point During Solidification of Al2024 Alloy" Metallurgical and Materials Transactions A, Vol. 46.3, pp. 1287-1299, 2014. Limin, J. Daming, X. Min, L. and Fu, H., "Casting Defects of Ti-6Al-4V Alloy in Vertical Centrifugal Casting Processes with Graphite Molds"Met. Mater. Int, Vol. 18, No. 1, pp. 55-61, 2012. Fu, H. Xiao, Q. and Xing, J., "A study of segregation mechanism in centrifugal cast high speed steel rolls" Materials Science andEngineering A, Vol. 479, pp. 253-260, 2008.